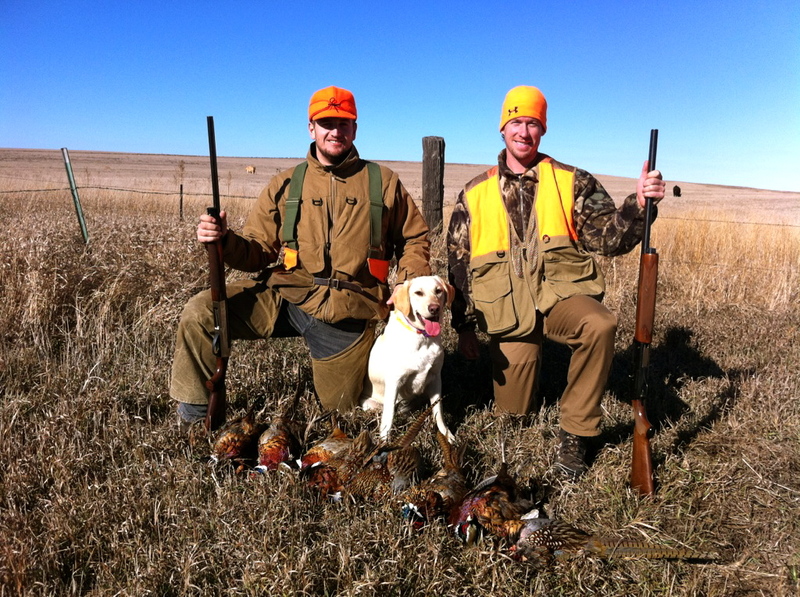 every year, 2-3 legitimate pheasant hunters (glen perkins, kurt weber, and/or matt addington), 1 very well trained hunting dog (sogn or sophie) and 1 very decidedly inept shot (kevin m slowey) make a six hour drive out of the cities, through the beautiful north dakota countryside, and into a small town of 65 people situated on top of a modest hill, surrounded on all sides by fields of corn, soybeans and sunflowers..
the next day, and all of its successors, go something like this…. 8:30-6:45 – under the direction of general k. weber …(who, i am convinced, possesses the keen directional sense that would have allowed him to out-maneuver crazy horse at little big horn, if only he had been there)…push fields, walk crp, jump sloughs, and even wander some PLOT land..
well, something like that at least…now that ive successfully completed another year of 3 edifice monte (with apartments in florida, st paul, and now charotte)..it’s officially the offseason once again..
and so, to those (two or three) of you who are still checking the blog, despite its 9 month recess, feel free to ask whatever questions you may have…ill get to back to you as quickly as possible (around steelers and penguins games of course)..
it didn’t explode. i just haven’t written in a while. and it isn’t because ive been too busy either. so now that’s cleared up. either. they were smaller things; things that i can recommend to you. then they can be things you like too. now you have some good things too. so when you get a chance, go ahead and take a picture of your own..
thanks for the most main questions…see you at heinz hines field on sunday..
amazingly, it appears that we have made it all the way back to the offseason..and this blog will commence operations accordingly..
as i did last year, i would like to extend an invitation to my main blog reader guy (or girl) to ask questions about whatever he or she would like to know about..and i’ll get to answering them in the most expedient fashion possible..that seems like the best plan for now..further plans will be made at a further date, furtherly. after arriving in florida last weekend, and spending most of the week unpacking, grocery shopping, and catching up with teammates..it’s time to get started again. unfortunately, this means the (offseason) blog will be offline for the next nine months or so. don’t worry though, ill be back as soon as the offseason is. thanks for keeping up, and in the meantime, check this blog out….caught in the middle.. it’s written by a good friend of mine from back home in pittsburgh about her travels through europe..and it’s awesome.